My Little Kitchen: Why? Why? Why? 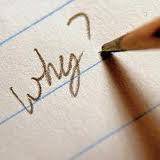 If I had £1 for every time I hear the word 'Why' every day, I'd be sat on a private tropical island with a Pina Colada served by a buff butler! Now's my chance to get me own back with all the 'whys' I'd like to turn round and ask them. Thank you to Jennifer at Jennifer's Little World for tagging me in this funny meme! 1. Post your whys – as few or as many as you like. 2. 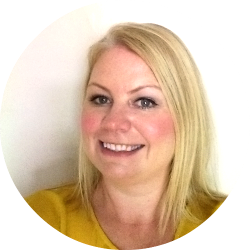 Link up your post over at Mummy Central, and it would be great if you could leave a comment too. 3. Tag 5 bloggers to keep this going. 4. If you’re not a blogger, leave your whys as a comment below. I'd love to read them. 5. Show your support by reading a few others and commenting on them. Why do I bother tidying away all the toys when by 8am the next morning, the floor is covered with them again? Why do I never get to drink my cup of coffee while its still hot? Why do I have to listen to things like 'Mummy my bum's sparkling, you haven't wiped it properly!'? Why do you have to shout at every man in town 'Mummy is that a bad man'? Why do you have to grow up so flipping fast? Why aren't spa days compulsory and available on the NHS for all mums of young children? Why can't my hair magically straighten itself so I don't have to spend half an hour faffing around with it? Why do I stay up really late reading blogs/writing posts/tweeting when I need an early night? Why can't I resist eating fattening food when I'm trying to lose weight? Why am I sat here with a big pink plastic butterfly clip in my hair? Why is the dirty clothes bin full as soon as I've emptied it? Why do I want to fall asleep after just one glass of wine? Why are you the most beautiful perfect creatures I've ever seen? Thank you for taking part, a lovely list! Yes soa days should be available on e NHS - we should start a campaign! The coffee thing is one that really bothers me too. An average cup of coffee in my house gets reheated in the microwave 3 times before I finish it. For some reason my friends without babies find this absolutely disgusting. Yes please to the NHS spa days I am sure I could create an good business case for it being a net saving on stressed Mums! Wish I had thought of that one! May Photo A Day Challenge... DONE!